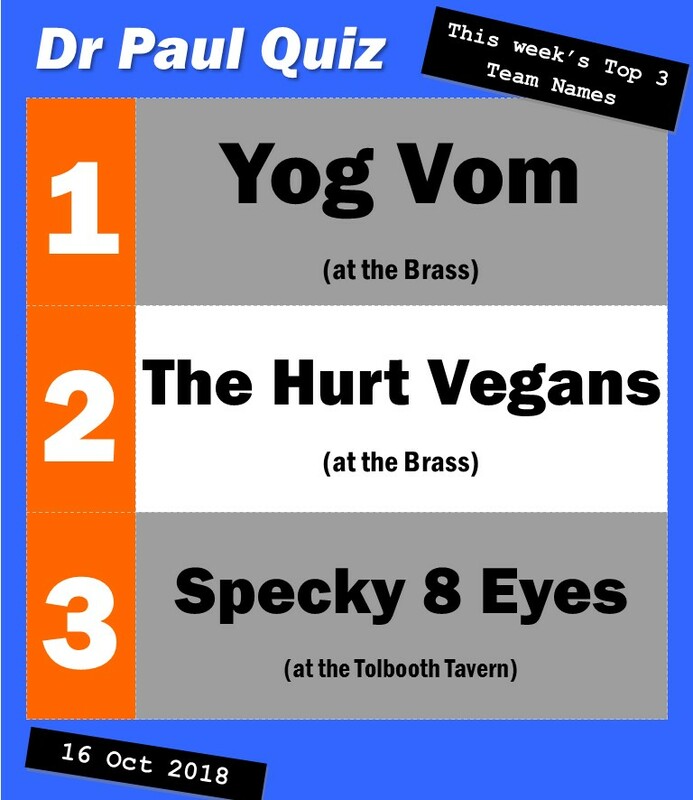 As well as my own two quizzes on Wednesdays, I can now tell you about another quiz option for Leith-based quizzers which is being presented by my quizmaster friend Gordon down at Harmonium near the Shore. 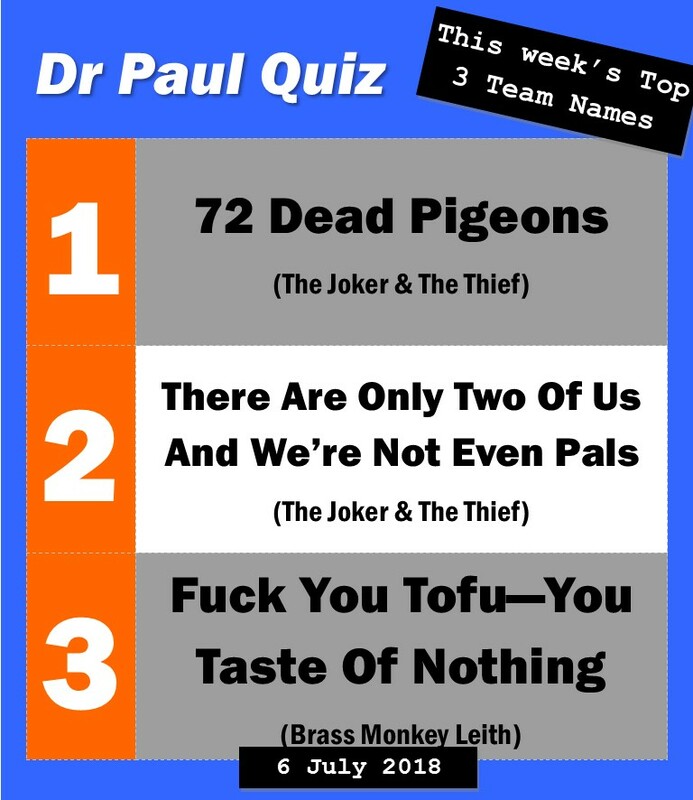 While Gordon presents, I have written the quiz. So you know its cool. Harmonium’s speciality is lovely vegan food. Everyone says the food is great. 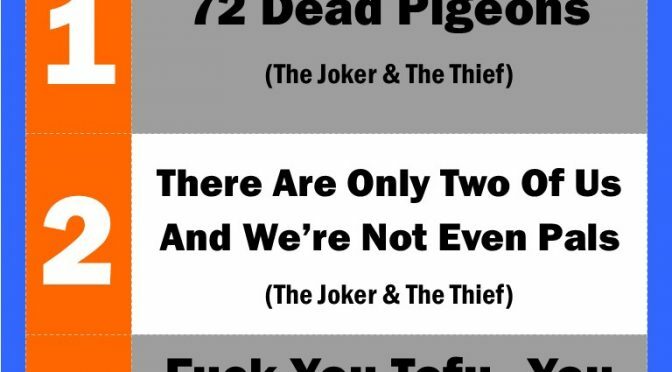 7pm – The Joker & The Thief. Jackpot £60. Cheat answer – There is a caterpillar in the picture round. 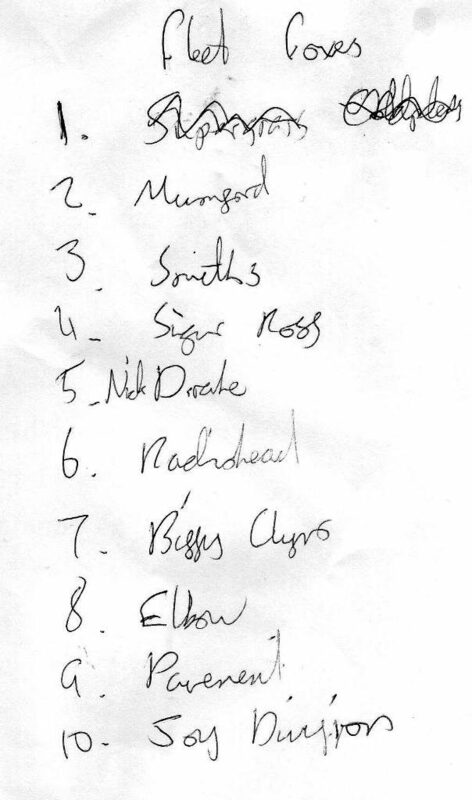 9pm – Brass Monkey, Drummond Street. Jackpot £60 Cheat answer – tonight’s music round includes Cutting Crew. See video below to hear the song. This song was big in the eighties. I know because I was there. You don’t remember, because you’re too young.